Rush Limbaugh said he would back Sonia Sotomayor's confirmation to the Supreme Court if she handles the abortion question to his liking. After calling Judge Sonia Sotomayor a “reverse racist” last week, conservative radio host Rush Limbaugh said Wednesday that he may now possibly support President Barack Obama’s pick for the Supreme Court. “I can see a possibility of supporting this nomination if I can be convinced that she does have a sensibility toward life in a legal sense,” Limbaugh said during his show. “I don't know if it will ever happen,” Limbaugh said, before claiming that the “opportunity” of her support in overturning the landmark abortion case could be enough to get his backing. 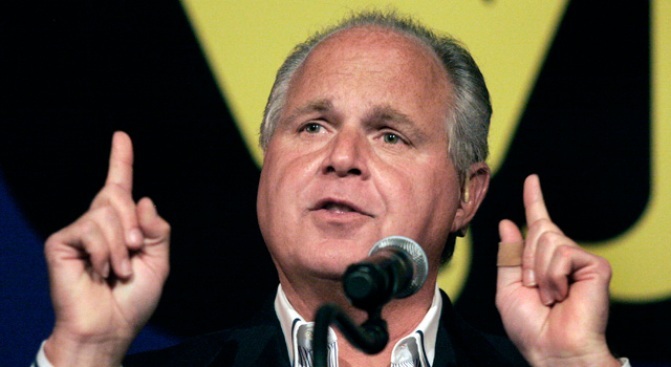 Limbaugh was joined last week by former House Speaker Newt Gingrich in calling Sotomayor is a “racist” for past statements suggesting that a “wise Latina woman” could come to a better decision than a white man. “The sentiment struck me as racist and I said so. Since then, some who want to have an open and honest consideration of Judge Sotomayor’s fitness to serve on the nation’s highest court have been critical of my word choice,” Gingrich wrote.